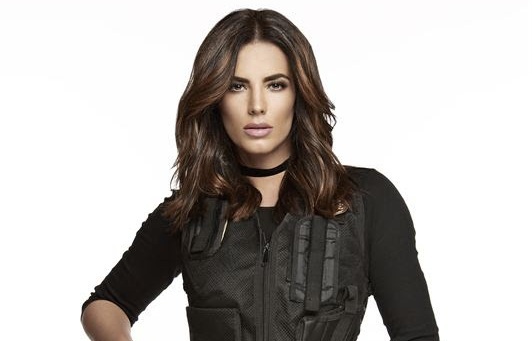 Monday night's third season finale of Telemundo's highly-rated Señora Acero 3, La Coyote ranked #1 in Spanish-language prime delivering 2,642,000 total viewers and 1,508,000 adults 18-49, according to Nielsen. During its full run, the Super Series averaged 2,091,000 total viewers and 1,180,000 adults 18-49, ranking as the #1 Spanish-language program at 10pm, outperforming Univision among total viewers by +19% (2,091,000 vs 1,753,000), adults 18-49 by +47% (1,180,000 vs. 805,000), and by +63% among Adults 18-34 (587,000 vs. 360,000). Locally, Telemundo ranked as the #1 program at 10pm among adults 18-49, regardless of language, in Los Angeles, Houston (also among total viewers), Phoenix and Orlando. The finale also ranked as the #1 Spanish-language program among total viewers and adults 18-49 in New York, Miami, Dallas, Chicago, San Francisco, Philadelphia, Denver, Tampa and Boston. On the day of the finale, Señora Acero 3, La Coyote ranked as the #1 most socially engaged Spanish-language program during primetime social. The Super Series generated 2,200,000 million global native views on Facebook and 113,000 global actions across social platforms (Facebook, Twitter, Instagram). During the full season, the series generated 10,600,000 global actions across social platforms (Facebook, Twitter, Instagram) and 96 million global Facebook video views. Señora Acero 3, La Coyote is an original TELEMUNDO production filmed by Argos Televisión, with Mariana Iskandarani and Marcela Mejía as executive producers. Source: NPM LS+D IMP. Strict Daypart & PAV, 10p-11p. 7/19/16-12/5/16. TEL vs UNI, UMA, AZA, ETV. Adobe Analytics US Only; ListenFirst; Shareablee, 12/5/2016. Adobe Analytics US Only; Shareablee, 7/19/16-12/5/16.